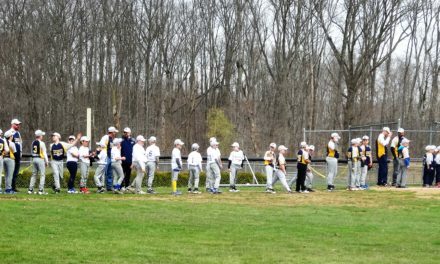 Brookfield trustees struck out in their attempt to reach a legal agreement with two ball leagues that use Brookfield Township Community Park. But, they will have another at bat later in the year. 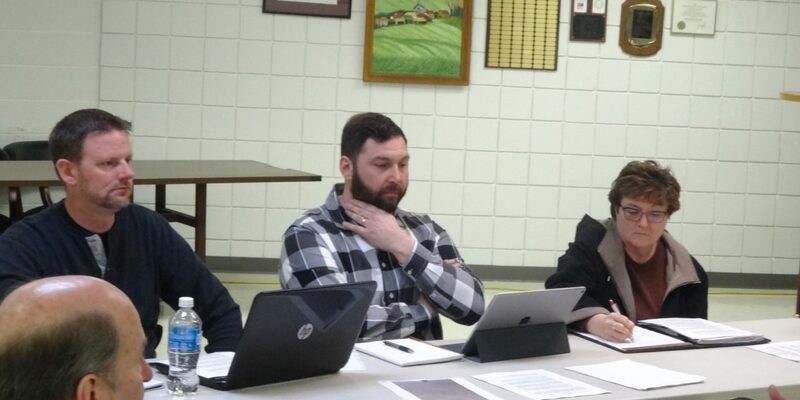 The trustees met March 28 with Ken Forsythe, Dave DeJoy, Scott Miller and Mike Schiska from Brookfield Youth Baseball and Softball and Judy Radachy of Trumbull County Adaptive Baseball. 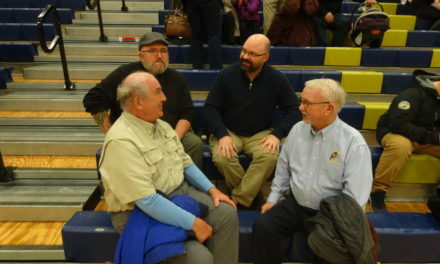 Trustee Ron Haun said he wanted the township and the leagues to sign a document outlining the expectations they have for each other, possibly covering issues such as scheduling, field maintenance and repair, concession stand use and the responsibilities of the park superintendent. 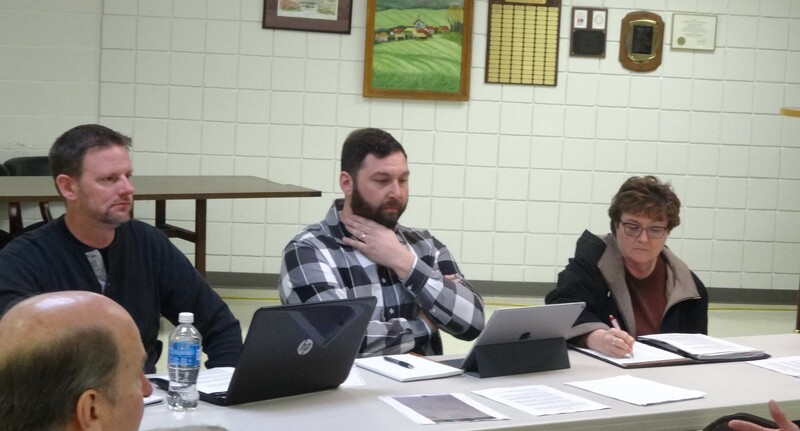 Mike Schiska, left, and Dave DeJoy of Brookfield Youth Baseball and Softball Inc. and Judy Radachy of Trumbull County Adaptive Baseball are shown at a meeting with Brookfield trustees. 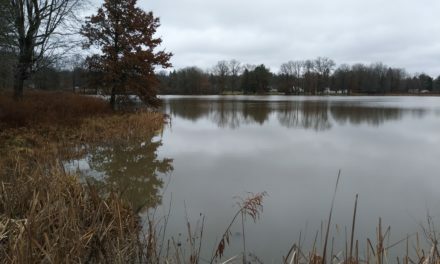 But, faced with the township’s attorney; a sample agreement they had not had the opportunity read beforehand; the absence of anyone from Brookfield Local School District, which also uses the park’s fields; and a long history of working out issues among themselves, the league representatives balked. Gil Blair, the attorney and a Weathersfield Township trustee, said the intent was partly driven by the township’s insurer, which wants agreements with anyone using township property. The leagues said they work well together and with the township. Annual meetings with the trustees have allowed the leagues to bring up and work out any issues, DeJoy said. 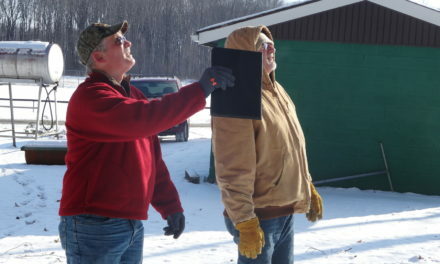 “Yes, there’s been conflicts over the years; however, it’s all been worked out,” Radachy said. League reps also said they believe the insurances they carry cover any concerns the township could raise. “I think we’re solving problems that don’t exist,” DeJoy said. Noting that the members of his board evolve over time, Forsythe said he doesn’t want to commit a future board to something its members would not want to live up to. “I don’t know, as a volunteer dad, if I’m prepared to sign anything,” DeJoy said. Forsythe said he would be willing to sign a one-year agreement to set a work plan for the following year, and he said he would look at agreements other local municipalities have with athletic leagues. But, this is not the time of year to do it, Forsythe said. The league is starting up and officials will be busy with practices, games, field work and tournaments. The participants agreed to get together again in August to work up something for the following year.